Asher Angel, Navia Robinson & More Stop By Halloween Horror Nights | Adam Devine, Ally Brooke, Asher Angel, Chloe Bridges, Lexi Jayde, Luna Blaise, Navia Robinson | Just Jared Jr.
Lexi Jayde Gets Her Driver's License! 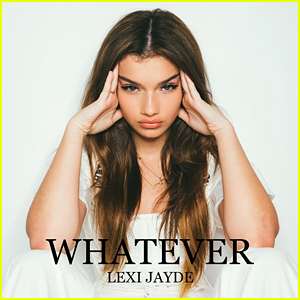 Lexi Jayde Drops First Original Song 'Whatever' - Listen Here! Lexi Jayde Premieres 'Jingle Bell Rock' Holiday Music Video - Watch Here! Singer Lexi Jayde Shares 10 Fun Facts With JJJ Just As Her 'Baby, It's Cold Outside' Video Premieres!